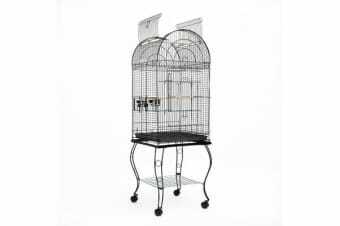 This stylish and practical Home Ready Heavy Duty Large Bird Cage Dome with openable top and castor Wheels is the perfect solution for you if you need somewhere comfortable and safe for your loved bird to stay in. 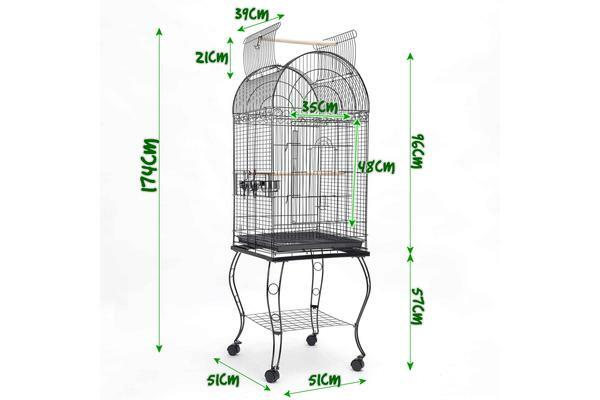 The cage suits small to medium sized birds (parrots, budgies etc.) It is made with high quality materials, easily movable and very easy to assemble. The cage’s frame is made of durable and high quality wrought iron and it is powder coated in order to prevent it from rusting and offer a longer service life. 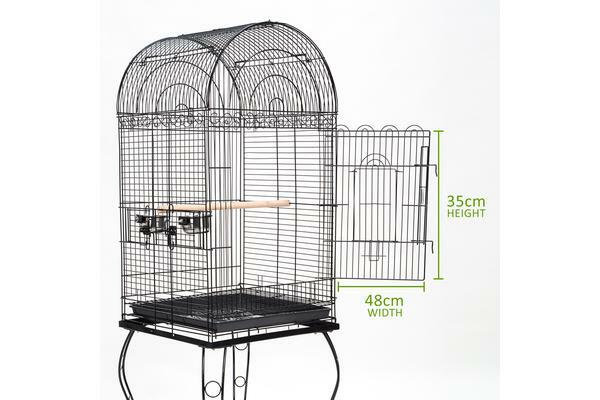 There is one lockable door on the front and one on the top of the cage so you can keep your bird safe and have easy access inside the cage. There is also a removable tray under in order to make cleaning easy. There are four, 360o swivel caster plastic wheels so relocating the birdcage is very easy. 2 water/food container and 2 rest wooden perches are included. The cage also has a clever shelf under it so you can store your birds’ needs, such as water, food and cleaning tools. Another good feature is that the bird dome on top is removable from the stand so you can place it on top of tables or other places. Come grab one of this great bird cages and enjoy their beautiful singing sound!